2015 has been an undeniably game-changing year for me. I was mentally listing out the main developments of the past 12 months and thought, "I can't believe this is my life." I only made three resolutions for this year, and I think I made good movement on all fronts. I increased my FPP skill level through sheer determination with projects like the Epic Game of Thrones quilt and the Forest Abstraction blocks for Fall Quilt Market. I spent a lot less time ripping out quilting by spending more time considering design options. Most recently, I've taken to printing out line drawings of my quilts and sketching my plan. Lastly, I put myself out there socially and professionally at Quilt Con, my first spring Quilt Market (which was also my first 100% solo travel adventure), and second fall Market. I was a guest on the Modern Sewciety Podcast. I spent the year as a board member for the Houston Modern Quilt Guild as historian and industry liaison. And biggest of all, I've joined the Windham family as a licensed designer. For 2016, I want to keep the momentum going, and I've come up with a few goals for the year. 1. Pursue teaching opportunities. I'm already slated to teach a workshop on my Shieldmaiden pattern for the HMQG in January, and I'd like to track down more IRL teaching gigs. 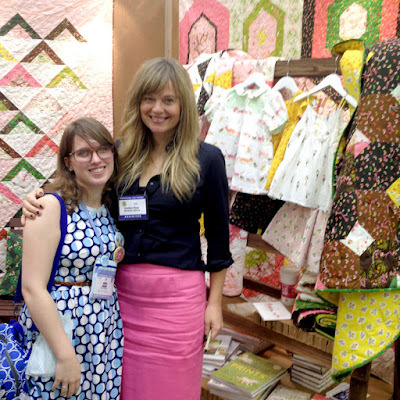 My pal Becca Bryan will be teaching a few workshops at Quilt Con this year and after chatting with her about it, I started thinking about applying for 2017 Quilt Con as an instructor. We'll see! 2. 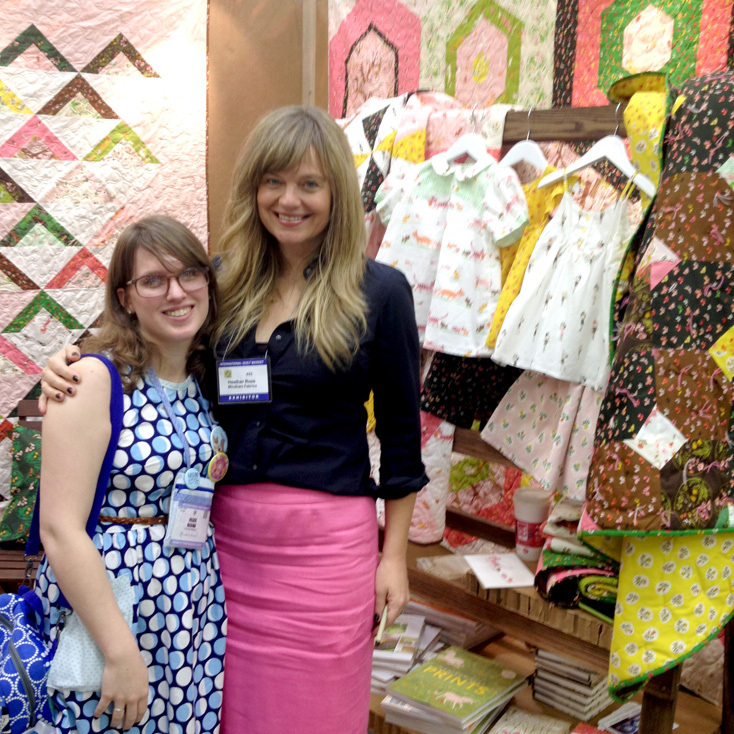 Have a memorable Quilt Market debut in Salt Lake City. I've been dreaming about being a designer and having a booth at market since I first attended in Fall 2014. It's coming true and I've been busy planning all the details that will go into the debut of my first collection, Luna Sol. Unsurprisingly, I'm overflowing with anxiety, but it has a markedly positive tone to it. I hope to channel all that into making lots of exciting projects to share. 3. Be a more ambitious quilter. The actual quilting process may be my least favorite part of making a quilt, which is why I'm prone to defaulting to simple all-over meandering designs. As I wrote earlier, I've gotten better at planning before jumping in. However, I want to take things a step forward and do more custom quilting when the quilt can really benefit from it. 4. Spend more time working on new quilt patterns. I frequently try to sit down and diligently design quilts, but I have a hard time producing things I'm willing to move forward with. A lot of the times, I'm paranoid that something similar exists somewhere out there in the quilt world. Maybe by taking on more frequent, short sketching sessions, I can start to get somewhere.